Timber Side Board by Ruff Sawn. The most popular Ruff Sawn series can be shown throughout your home with this piece. 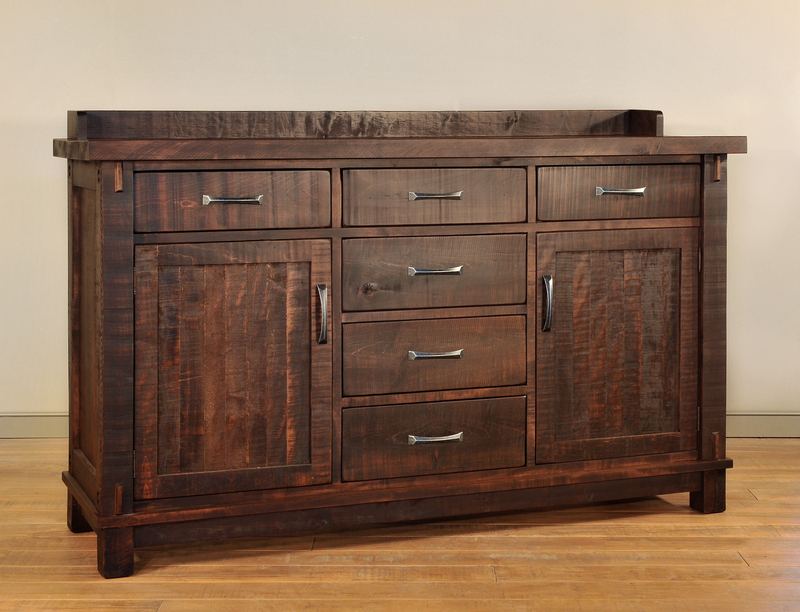 Timber Sideboard features 6 Drawers and 2 Doors. The buffet comes standard with Premium soft close glides for an extra refinement. A 48"w x 22"d x 42"h version of this piece is also available. Please inquire for pricing and details for the 48" server. The piece comes in the stain and hardwares of your choice. Sizes and dimensions can also be changed to your desire. If you want this piece in custom sizing or another configuration please contact us for a quote!